Training Camp has started for the Bears. And with that, is the first audio show for this website by yours truly. Feel free to give it a listen and put your thoughts on it, as well as what I said about the Bears in the thread. Unlike other websites out there, it’s only about 15 minutes long. I am not a fan of podcasts/audio shows that are long. Have at it. Happy Monday, meatballs of the Chicago sports world. All-Star break is upon us. If the season ended today…. …the Cubs would be in the wild-card playoff game. I know – all too well – that there’s still a lot of baseball to be played. That said, I’m impressed with Joe Maddon so far and want to believe that the Cubs are moving in a positive direction. Your feedback welcomed. Put all of your ANGER right here. Well, it’s finally here. Raw is at the Allstate Arena. 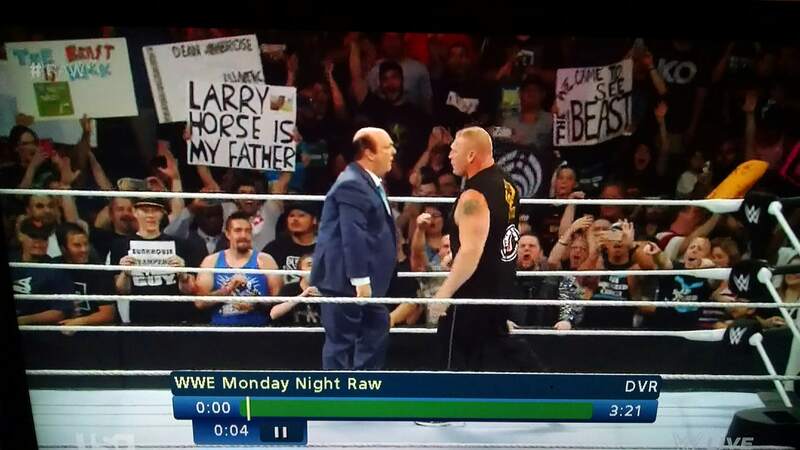 Brock Lesnar is scheduled to be there and a rumor of Ric Flair showing up after the show goes off the air is out there as well. But I know one thing that WILL be there. And yes, it’s true. 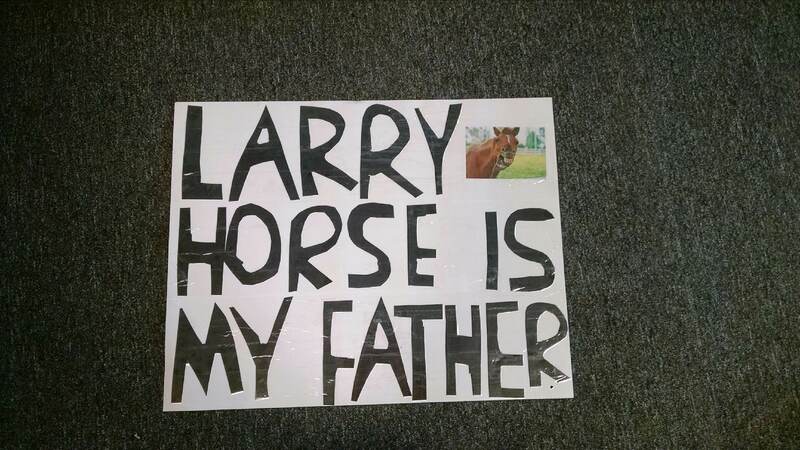 Larry Horse is my father. Jimmy Butler must be brainwashed. 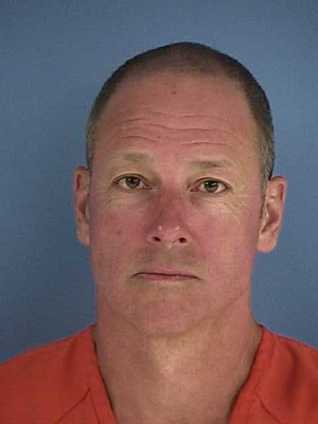 So, this is how a player goes about after his former coach does everything in his power to shorten his career? 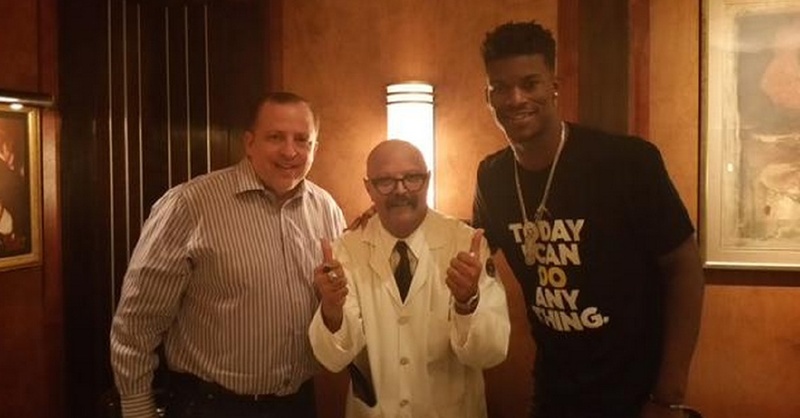 I am surprised I didn’t hear about this last week when it happened, but Jimmy Butler decided to have dinner with ThomASS at Gibson’s Steakhouse downtown. I know this shouldn’t really be a big deal. I mean, two people having dinner isn’t, in the grand scheme of things. But after all of the garbage that we have dealt with the past five years, why is Butler even associating himself with this hack? ThomASS tried to ruin his career by playing him so much, he led the league in minutes the last two years. If I were Butler, I would have stayed as far away from this doofus as possible. And the Bulls were stupid enough to give him a max deal of five years and $95 million. The Chicago Bulls (and Chicago Bears): One step forward. Two steps back. You are currently browsing the Fire Matt Nagy - - - Fire Ryan Pace blog archives for July, 2015.